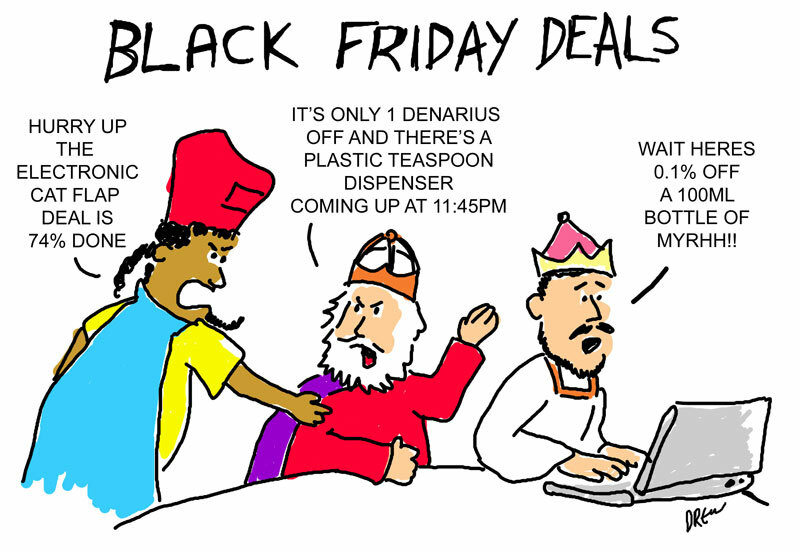 Black Friday what an excellent name for a holiday! It's the day after Thanksgiving which is an American holiday like Christmas but without the consumerism and presents, whereas Black Friday is like Christmas without the food and family - 100% capitalism. Still if you refresh your browser every 5 seconds you may be lucky and get 0.004% off a manual food whisk or anything else the likes of Amazon had left over in it's mammoth warehouses. The more observant may notice I have reused my three kings from Advent 2: Three Wise Men vs Wise Women a classic and still the most popular post on the site. Maybe they will make another appearance during the 2011 advent season! !